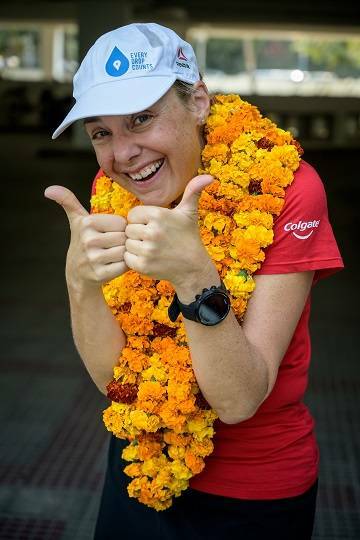 Colgate Proudly Welcomes Mina Guli To India As Part Of Her #RunningDry Journey And Reiterates Colgate’s Commitment To Its Global Save Water Campaign! Colgate Palmolive (India) Limited, the market leader in Oral Care, is proud to sponsor Mina Guli’s #RunningDry journey - a global initiative by water advocate and global athlete Mina Guli. As a brand, Colgate is committed to encourage people to Save Water by turning off the tap while brushing, as #EveryDropCounts; this sponsorship is part of Colgate’s global Save Water campaign. In a study that Colgate conducted with YouGov after Earth Day 2018, it was found that, globally, the Save Water campaign can lead to a potential reduction of 50 billion gallons of water per year. “Water scarcity is a global issue that effects everyone on the planet. Globally, 4 billion people face water scarcity for at least one month in the year. I am proud to be working with a brand like Colgate who is raising awareness about a simple, yet effective way to save water everyday”, says Mina Guli. 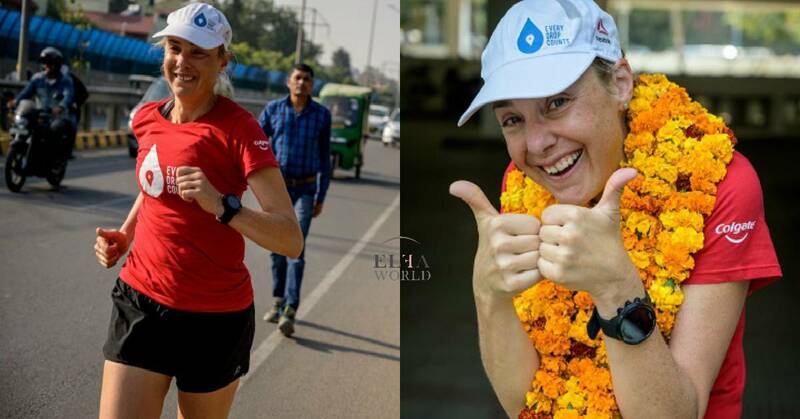 Launched at the New York Marathon on November 04, 2018 the #RunningDry campaign reached New Delhi, India (6th country on the route) on November 23, 2018. The India run will pass though Gurgaon, Bawal, Achrol, Jaipur, Kishangarh, Raila, Bhilwara, Chittorgarh, Banswara, Dahod, Vadodara, Bharuch, Ankleswar, Surat, Navsari, Balsad, Thane and will reach Mumbai on December 06, 2018. As part of the 100 marathons in 100 days campaign, Mina has completed her run in England, France, Italy, Uzbekistan and the Aral Sea. After the India leg, she will continue her run in Hong Kong, China, Dubai, Jordan, Israel, Palestine, Ethiopia, Kenya, South Africa, Australia, Chile, Bolivia, Peru and Mexico, before she completes the expedition by running across the United States to finish her 100th marathon in New York on February 11, 2019. "#RunningDry is a call to the world to unite to save water,” explains Mina. "The water we need to live, to survive, is running out. We're calling this #RunningDry because we need to bring home the severity of the crisis we are facing. It is for this reason that I have chosen to do the unthinkable: running 100 Marathons in 100 days around the world to show what a 100% commitment to water looks like. We can all help solve the world's water crisis. Each one of us is able to make a difference. "